Law enforcement agencies across the state are seeing a "dramatic increase" in the manufacture and sale of marijuana wax, a potent, concentrated form of marijuana, officials at the Minnesota Department of Public Safety said Wednesday. Police chiefs from St. 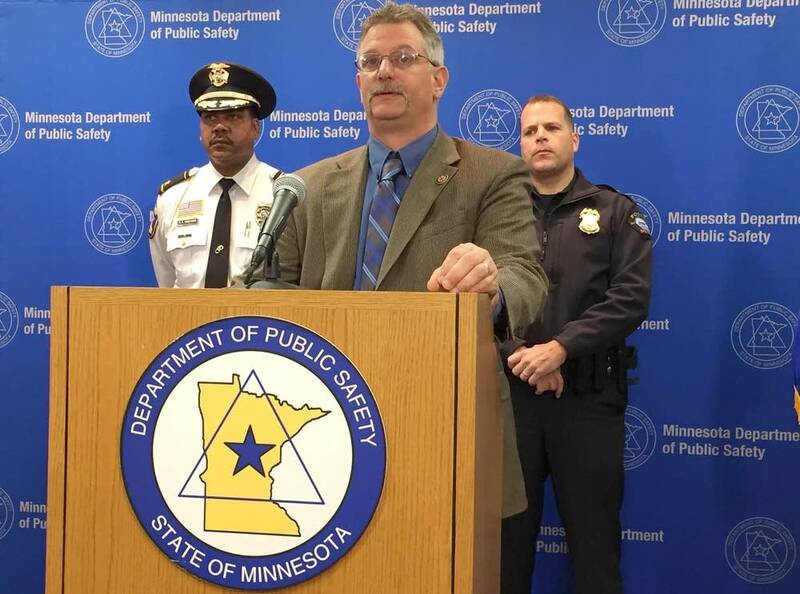 Cloud and Duluth and officials from the DPS held a news conference to alert members of the public to the emergence of what they described as a dangerous substance. "This is a very serious drug that is now coming to Minnesota and we want to make sure that we get awareness out to all of the people in Minnesota," said Brian Marquart, statewide gang and drug coordinator for the DPS Office of Justice Programs. Marijuana wax has high levels of THC, the active ingredient in marijuana. Marquart said it can create intense physical and psychological effects, including "hallucination and psychotic-like episodes." Murder charges were brought Wednesday against two men who allegedly manufactured marijuana wax in St. Cloud. Sally Douglas, 85, died after an explosion and fire in November. Police said the fire was caused by Justin E. Pick, 19, of Sartell, and Dustin Ross Zablocki, 18, of St. Cloud, when they were trying to make butane hash oil — another name for marijuana wax — in the basement of a residence. Douglas died at Hennepin County Medical Center Dec. 8 of complications from smoke inhalation, according to the medical examiner. Pick and Zablocki are in Stearns County jail facing two counts each of third-degree murder, according to a criminal complaint. "This is the first case of its kind that I have seen in my 20-year law enforcement career," said St. Cloud Police Chief Blair Anderson, "but there are so many dangers that surround the manufacture of this hash oil and this is just another tragic example of how drugs, and illicit drug use and behavior that surrounds it, destroys lives." In a separate incident, two teens using marijuana wax in Duluth reportedly sought medical help because of the effects of the drug. "The high is so intense," said Duluth Police Chief Gordon Ramsay, that the pair "felt they needed medical attention." The officials played a video recording of a woman they identified as the mother of one of the teens. She said that her son, 16, had called her for help a block from school. When she picked up her son, she said, he told her he had smoked "dabs," a street name for marijuana wax. She said it was different from his previous experiences of smoking marijuana. "He was seeing the world as a cartoon," she said. The teen, who was later taken to the hospital, started to throw up and had trouble breathing. "I was scared as hell," she said. Robert Capecchi, deputy director of state policies at the Marijuana Policy Project, said there is no reason for major concern. "Just like marijuana, there's no possibility of lethal overdose using any wax," he said. "We are certainly concerned about unregulated production of it." Debbie Anderson, director of the Poison Center in Minneapolis, said Wednesday afternoon that the center had received relatively few calls about marijuana wax. Since 2013, she said, the center had gotten just six calls seeking advice about the substance — one from a concerned parent and five from medical personnel treating people who were "in emergency departments because of use of marijuana wax and having significant ill effects." Symptoms suffered by those patients, Anderson said, included some degree of sedation, behavior changes, hallucinations, agitation, disorientation and psychotic episodes. She also said a Duluth police officer had called for advice about the hazards of coming into contact with the manufacturing process. Users smoke marijuana wax in a water pipe or in a vaporizer similar to e-cigarettes. "The typical leaf marijuana on the street has a THC content ... of about 14 percent," Marquart said. "These concentrates have a range of 32 to 90 percent THC, so it makes them very potent." He said the substance is new to the state. 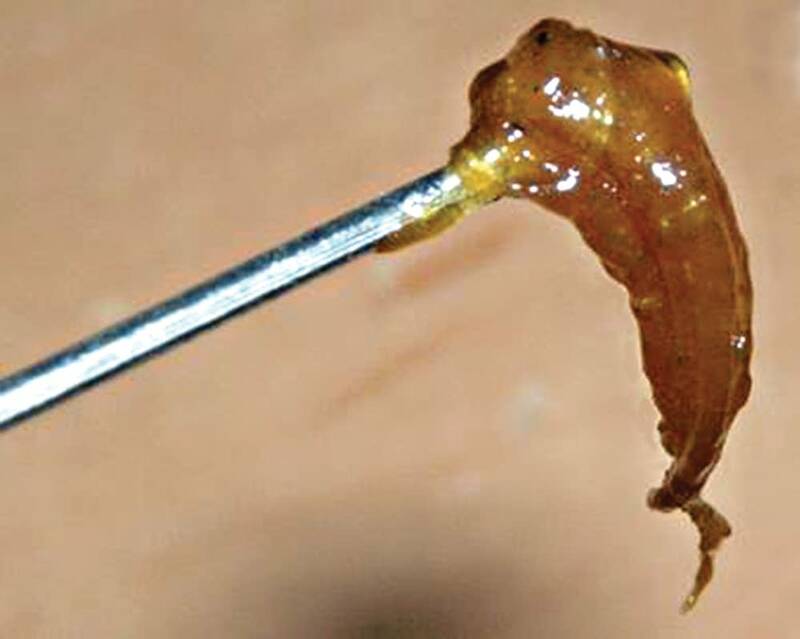 Any long-term effects of marijuana wax are unknown. Ramsay, who teaches a police and society class at the University of Minnesota Duluth, said he asked his 40 students Tuesday night if they have heard of the drug, and the "majority of them seem to know about it." In Minnesota, it's a misdemeanor to possess marijuana in amounts of less than 42.5 grams, while anything more than 42.5 grams is a felony. Possession of marijuana wax, Marquart said, is a felony in any amount.